HOWYWOOD KINDERGARTEN! 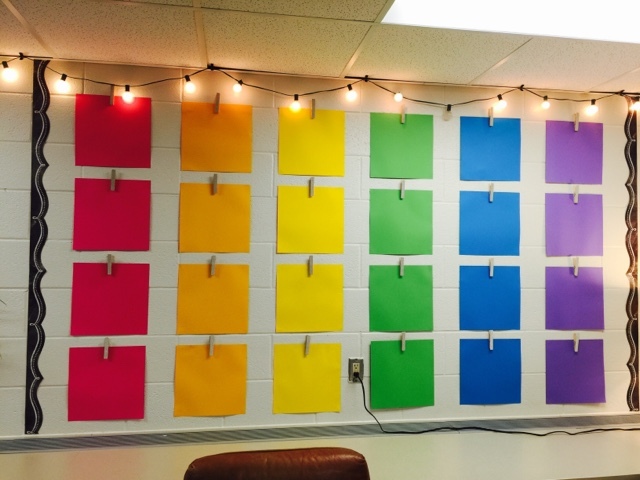 : Colorful & Fun WOW Work Display! How fun, happy, and simple is this? All you need is a couple pieces of 12x12 scrapbook paper, some clothes pins, and maybe some cute tape to cover the clothes pins!